After countless days of rain, June 8 arrived, and, as good fortune would have it, it was a beautiful day for golf as Expect Miracles Foundation hosted 250 guests at the 23rd Annual East Coast Classic at Pinehills Golf Course in Plymouth, MA. 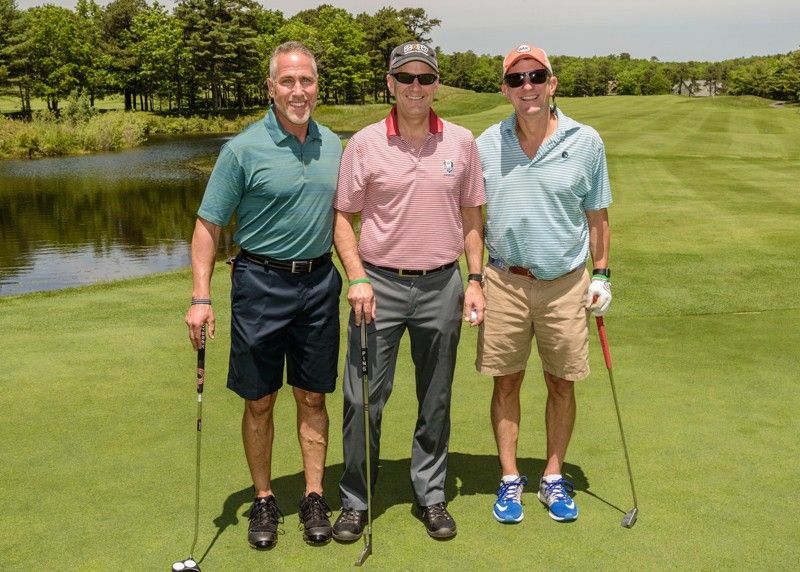 For the third straight year, the financial services industry, lead by Foundation Sponsors BNY Mellon, Eagle Investment Systems, and ICE Data Services, sold out both courses at Pinehills. Expect Miracles Foundation is extremely grateful for the support of its 20 Corporate Sponsors and the 21 firms that sponsored a hole at the tournament. With representatives from over 70 financial services firms, the industry was out in force to support the Foundation’s life-saving mission. After a great day on the links, guests enjoyed networking during a cocktail reception featuring an incredible raw bar and delicious lobster rolls. John Dennis, former host of WEEI Sports radio, and the current Jimmy Fund Golf Ambassador, served as the reception’s emcee. John congratulated Expect Miracles Foundation and its supporters for repeating as champions atop the Jimmy Fund Golf leaderboard. Co-Founder and Chairman, Frank Strauss welcomed the guests and thanked them for their loyalty, saying, “While we certainly like being #1, and I hope you help us retain the title this year, what is most satisfying is knowing that our industry continues to increase its support of our fight against cancer because unfortunately this horrible disease impacts us all at some point in our lives.” Strauss then introduced the featured speaker of the evening, long-time supporter, Miracle Maker and Director Emeritus, Jim Keenan of Citi. Strauss and Heavey presented the Expect Miracles Award, which recognizes an individual who goes above and beyond to donate or raise significant funds for Expect Miracles Foundation and the fight against cancer, to Terence Faherty from Broadridge Financial. A Miracle Maker and an active Director on the Foundation’s Board, Faherty played a critical role in getting Broadridge to expand its corporate support of The Foundation. The great event would not have been possible if not for the generous support of the army of volunteers who worked a long day, the incredible event partners including Caesars Entertainment, Tommy Bahama, Aruba Tourism, Barcelo Aruba, Briggs Original, Ellie Kai, Genesis, Macy’s, The Palm, Peter Millar, Porto, Samuel Adams, Stowe Mountain Lodge, The Tie Bar, Trunk Club, The Westin, and all our guests, sponsors and donors. Thanks for another great tournament in support of our mission! We hope to see you in Newport Beach, CA for the 9th Annual West Coast Classic on October 12.